Garden Bloggers Fling: Register for Denver Fling today! To register, fill out this APPLICATION, and we will send you the link. 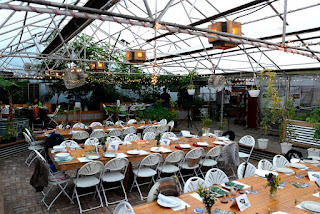 The 2019 Denver Garden Bloggers Fling aims to showcase gardens that epitomize the Rocky Mountains region and leave you with a most memorable experience. We’ve divided the tour into three cities (Fort Collins, Boulder, and Denver) to give a more comprehensive garden experience, revealing lots of native plants, xeriscaping, and rock gardens. We’re eager to share our working itinerary with you! It includes many, but not all, of the gardens that we will visit. Our opening night meet-and-greet starts at The Grow Haus, a non-profit indoor farm, marketplace, and educational center. 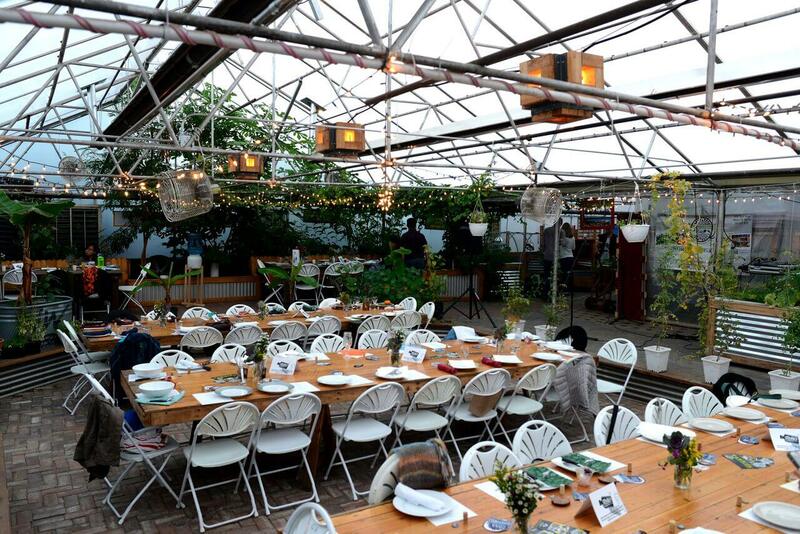 It is based in an historic, 20,000 square-foot greenhouse, which has been renovated to grow produce, distribute food, and teach about healthful living. We’ll be serving dinner from Comal Heritage Food Incubator, a non-profit program that trains women to celebrate their traditions through entrepreneurial ventures. We’re looking forward to sharing this piece of Denver because not only is this place and food amazing, but they have such an inspiring mission to help their community. While we know Fort Collins is somewhat of a distance drive, we didn’t want to miss Lauren Springer Ogden and her amazing collaborative designs at The Gardens on Spring Creek. The gardens were born out of a city-funded horticulture program that is blooming into an 18-acre world-class botanic garden grounded in community, education, and sustainability. 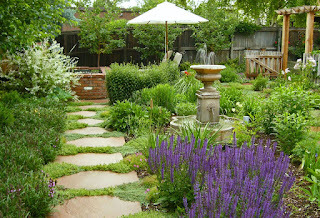 Gardens include: A children’s garden, food garden, rock garden, sustainable backyard garden, xeric garden, demonstration garden, an outdoor music venue, an outdoor kitchen, and Lauren Springer Ogden’s “Undaunted Garden”. Lauren will be joining us there. We’ll also have our lunch here on this day. 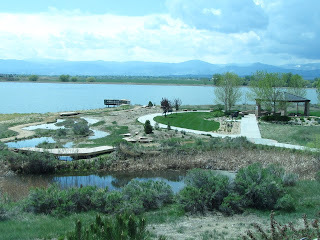 Since we were making the drive to Fort Collins, we made a day of it by adding some other truly spectacular garden tours. The HighPlains Environmental Center (HPEC) is a living laboratory and urban environmental park that was born from the belief that development could have beneficial impacts on the environment. The 76-acre center sits within a 3,500-acre mixed-use, master-planned community, which will eventually grow to house 10-15 thousand people and employ twice as many. In addition, HPEC manages over 550 acres of conserved open space. HPEC has a habitat factory for horticultural instruction that demonstrates habitat relationships, a native plant nursery, demonstration gardens, an heirloom orchard, and community garden. PlentyHeirloom Farms' first seeds were sown in 2011 when Sarah & Jeremiah Sailer decided to rip out their front lawn and try growing vegetables. This single decision changed the course of their health, lives, and community. Their passion overflowed into 6 neighborhood yards and their success cultivated a CSA (Community Supported Agriculture) sharing model, a destination for local school tours, and a book about their experience. Recently they added an outdoor, wood-fired oven to bake healthful, sourdough bread. To showcase how gardeners embrace our climate, we will visit two crevice gardens, too. Gardening around 5,000 feet in elevation, in a region that averages over 300 days of sunshine and an average of only 16 inches of precipitation annually is quite challenging, but rock gardening is how northern Colorado gardens with ease. At the Shinn garden we will see several distinct crevice gardens along with a water feature with wildlife in mind, and a vegetable garden. Carol is a visual artist who does freestyle machine embroidery of images she photographs, and her husband, Randy. is a concert and opera composer. We think the artistic harmony these two create in their unique garden shines brightly. Janice (Jan) deVore’s landscape is canopied with tall, mature pines and dotted with several crevice gardens and trough gardens. Jan hand-made the troughs and is also a painter. Her property contains a large collection of plant material, so look closely to find as many hidden gems as you can. At the last Fort Collins garden, we will serve wine and cheese before our drive back! Dinner is on your own this night. We’ll actually start the day in north Denver on our way up to Boulder, at Rob Proctor’s garden. Rob Proctor is a gardening expert and author with a weekly gardening segment on our local channel 9 news. He’s has written 16 gardening books and has an expansive backyard filled to the brim with gorgeous ornamentals in a beautiful, English-garden style. We’ll also tour his neighbor’s garden, which he has assisted in developing. Next stop is Botanical Interests seed company warehouse, where we’ll take a short tour of the facility. You’ll learn how garden seed gets from the grower to the packet and see the machinery involved in weighing and packing; and you might be amazed at the amount of racks and racks of seed bags that must be at hand for a seed company to run. In Boulder, Linda Boley did something truly amazing with her home garden space—she built it from the ground up. Starting with a flat plot of dirt, Linda’s goal was to turn her space into a “botanical zoo” with flowering rock gardens and a sanctuary for wildlife. In her award-winning garden, you’ll see colorful ornamentals and lots of little crevices and homes for birds and bees. 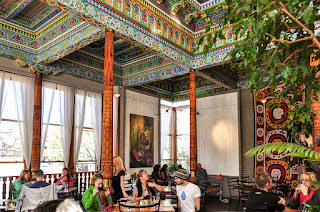 Lunch will be at the very special, Dushanbe Teahouse in Boulder. The Teahouse was built by hand from 1987 to 1990 in Dushanbe, Tajikistan as a gift to their sister city, Boulder. It was dismantled and then reconstructed in Boulder beside a creek. Colorful and cultural décor also includes lots of indoor greenery, and beautifully sculpted pillars throughout. Then we’ll head over to Niwot outside of Boulder to visit Scott Deemer’s garden. A friend and neighbor of Judy Seaborn, co-owner of Botanical Interests, Scott owns Outdoor Craftsmen, a landscape architecture and design company. Judy felt his garden would be a great addition to the tour because he has cultivated a garden that is downright Colorado—very alpine-inspired with lots of evergreen trees and rock gardens. Designed by Lauren Springer, Mary and Larry Scripter’s garden is the perfect place for a relaxing glass of wine while watching the sunset, as it backs to a huge open space of prairie meadow. The design of the garden mimics the surrounding landscape and includes 13 various species of grasses including little blue stem, switch grass, and tufted hair grass. It is important to note that although Springer designed the garden, the Scripters planted 3,300 plants over two growing seasons with their own hands. We’ll end this day at Judy Seaborn’s home garden for appetizers and that relaxing glass of wine under her giant willow tree, while enjoying her 1-acre garden of perennials and dozens of vegetable garden beds. The garden was previously home to 2 horses, including a bare corral surrounded by a tangle of weeds. The front yard that was once a forest with a dirt driveway, now features a pond and a wide variety of specially-selected plants and trees. There will also be a goody giveaway at her house! The Denver day of the Fling is jam-packed with high-profile, who’s-who-of-Colorado gardens that we are so thrilled to share with you. We’ll be touring both gardens of Jim Borland and Keith Funk, who, for 25 years have co-hosted the local radio show “Ask the Garden Pros”, which is the most-listened-to garden radio show for most of those years, too! Jim Borland’s garden is an impressive Colorado native xeriscape, about which he proudly states he “hasn’t watered in years”. In addition to being the co-host of Ask The Garden Pros, Keith Funk is also a horticulture specialist teaching in the Master Gardeners program throughout Colorado. His garden is full of gorgeous ornamentals and evergreens. Denver Botanic Gardens presents a wide range of gardens and collections on 24 acres that illustrate a diversity of plants from all corners of the world including Japan, China, South Africa and the Tropics, and celebrate a Western identity and a unique high-altitude climate and geography in their “Gardens of the West”. Their Water Gardens is a world leader in aquatic gardening and the display of aquatic plants with more than 450 plant species. 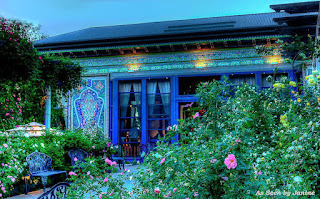 We will enjoy lunch here in their Annuals Garden and Pavilion surrounded by an abundance of stunning flowers of North America. Ivy Street DesignLandscape and Architecture firm founder and president, Wendy Booth, has been gracious enough to let us tour some of her creations. Wendy’s designs range from regional gardens, to hotels, streetscapes, and intricate residences. Her work has been featured in Better Homes and Gardens and has earned several Excellence in Landscaping awards. We can’t wait to show you her gardens up close! We’re really looking forward to Panayoti Kelaidis’ personal garden. As the Director of Outreach for the Denver Botanic Gardens, he’s a traveled lecturer, a spokesman for the regional Green Industry, and author of several gardening books and a long-running blog detailing his experiences in horticulture around the world. He and Judy Seaborn have been friends for years and this tour finally got us in to view his garden! We’ll also be touring what we’re calling “The Secret Garden,” an enormous mansion from the 1920s with three ponds, a grown-over gazebo, and acres of intriguing landscape. The Denver Garden Blogger’s Fling wraps up in style with a barbecue and dance at the Red Barn in Chatfield Gardens, an extension of Denver Botanic Gardens. Chatfield is a 700-acre plant refuge and working farm located south of Denver that hosts an annual harvest-themed Pumpkin Festival and Corn Maze and the distinctly rural Santa’s Workshop, while fulfilling a growing commitment to food access through the Garden’s Urban Food Initiatives. There will be plenty of time to walk around Chatfield. Wear your dancing shoes and we’ll have a Fling Bash!